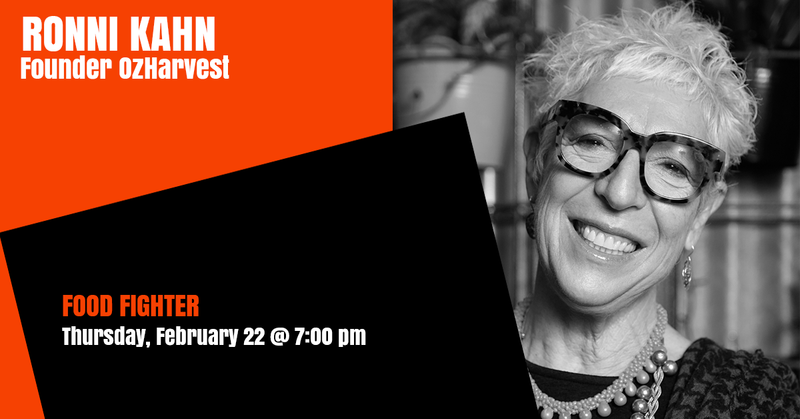 Ronni Kahn founded OzHarvest in 2004, driven by a passion to make a significant difference to society by stopping good food going to waste and deliver it to people in need. With initial funding from the Macquarie Foundation and office space and a refrigerated van from Goodman, OzHarvest was up and running, delivering 4,000 meals in the first month. Together with pro bono lawyers, Ronni was instrumental in changing legislation to allow potential food donors to donate surplus food to charities without fear of liability. The Civil Liabilities Amendment Act was passed in 2005 in NSW, closely followed by other states. OzHarvest is now Australia’s leading food rescue organisation, collecting over 100 tonnes of good food every week and delivering it to more than 1300 charities, making a positive impact on the lives of vulnerable men, women and children. Headquartered in Sydney Australia, OzHarvest now has operations in Adelaide, Brisbane, Cairns, Canberra, Gold Coast, Melbourne, Newcastle, Perth and in regional communities across the country. Ronni has taken the unique food rescue model global, starting operations in the UK, Thailand, and South Africa. Over the last five years, OzHarvest has partnered with the United Nations Environment Programme (UN Environment), hosting Think.Eat.Save events across the country to raise awareness about the alarming rates of global food wastage. Ronni is a renowned international speaker on this issue and is proud of the strong alliance with the UN Environment. Following the introduction of United Nations Sustainable Development Goal 12.3, to halve food waste by 2030, Ronni spearheaded a collaborative stakeholder group, the Zero Food Waste Forum to work towards achieving this goal in Australia. She is now a member of the Federal Government’s National Food Waste Strategy Steering Committee. OzHarvest is constantly looking for innovative solutions to combat food waste and hunger and in 2017 opened Australia’s first food rescue supermarket, The OzHarvest Market, based on ‘take what you need, give if you can’ model. Ronni is a powerhouse in the fight against global food waste and social impact, and has received numerous accolades for her innovation and entrepreneurship. Most notably in 2010 when she was awarded Australia’s Local Hero of the Year and recently BOSS magazine Top 21 True Leaders (2017), Gourmet Traveller Outstanding Contribution to Hospitality (2017) and Griffith University Doctor of the University (honoris causa). The ripple effect of her unwavering passion and commitment is fuelling action across the globe.